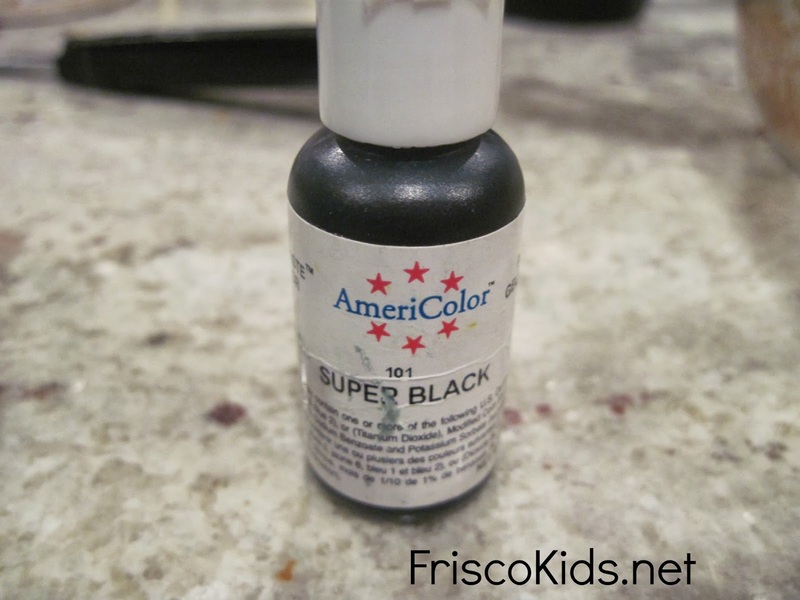 This is the black gel we used for the frosting. It works much better than food coloring. I learned that lesson the hard way years ago. You can get this gel at cake supply stores and craft stores. We used three cake mixes and made two same-size sheet cakes, which of course did not come out of the pan in one piece, in spite of me using Crisco. Then we divided up the third cake mix into two bread pans, to stack at the end to create a slope. 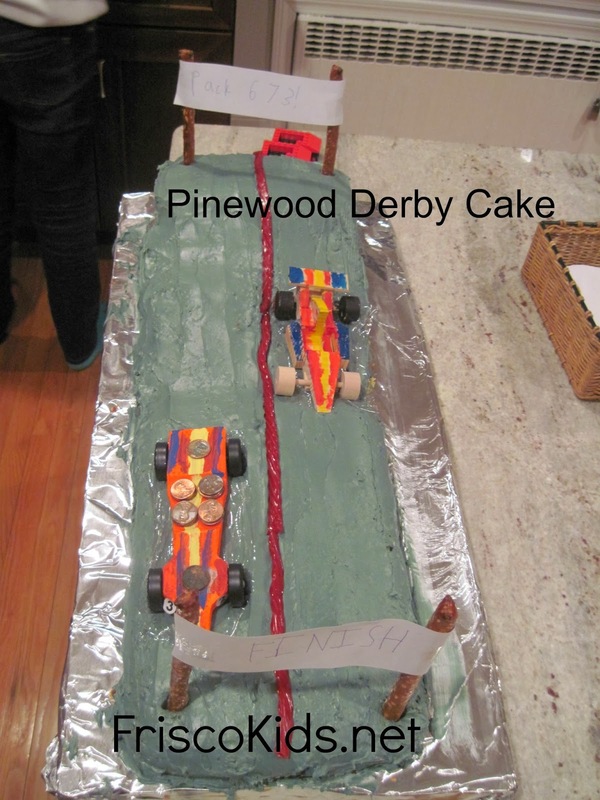 Of course we had to cut one of them at a slant to get the slope, which just makes a mess when frosting it. I read a cake decorating book recently which talked about frosting "the crumb layer." That is, you will never get frosting on smoothly with all those crumbs, so you just frost it crumbs and all, and let it sit for awhile. 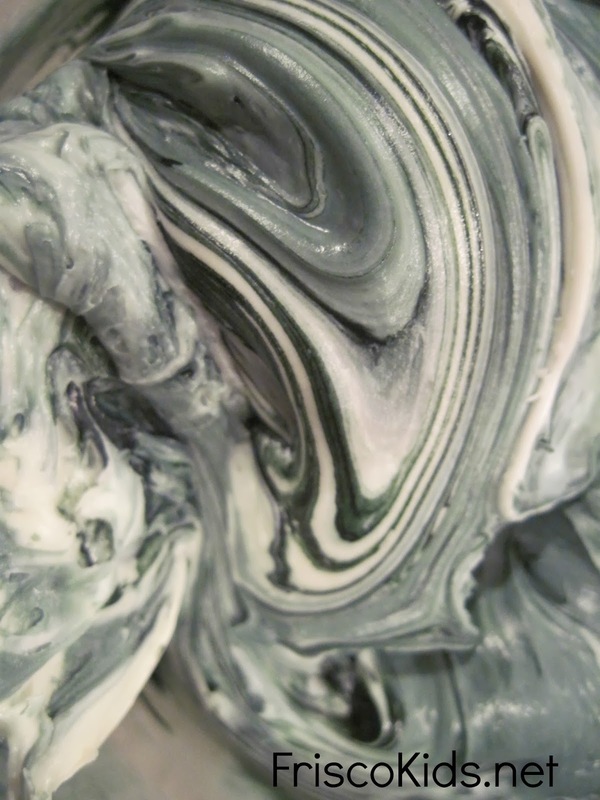 Then you put another layer on top and it will be smooth. So above is the crumb layer. It worked pretty well, though when we cut the cake, it was like the top just fell over, because there was so much frosting on there. After we got the second layer on, my son started decorating. 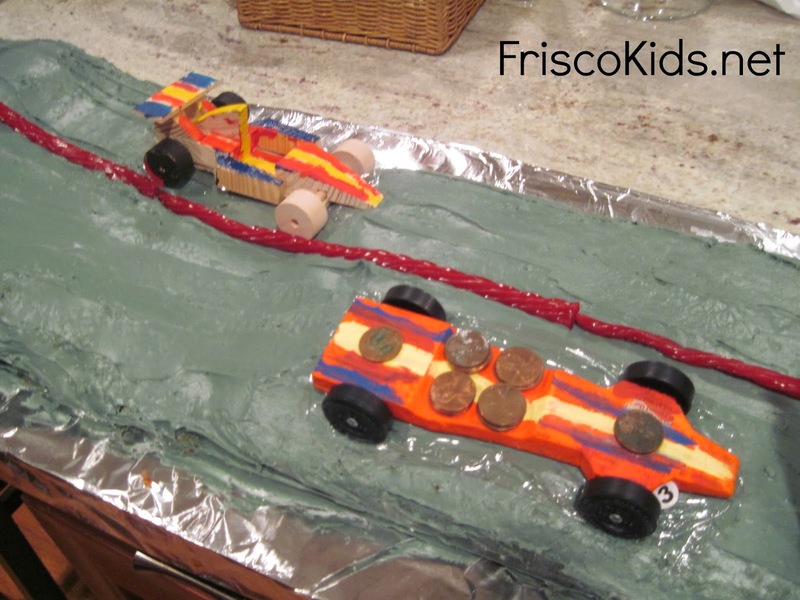 He used red licorice for the center divider, and put the cars on top of plastic wrap. You really couldn't see the plastic, which was good. You can see it in the picture above. 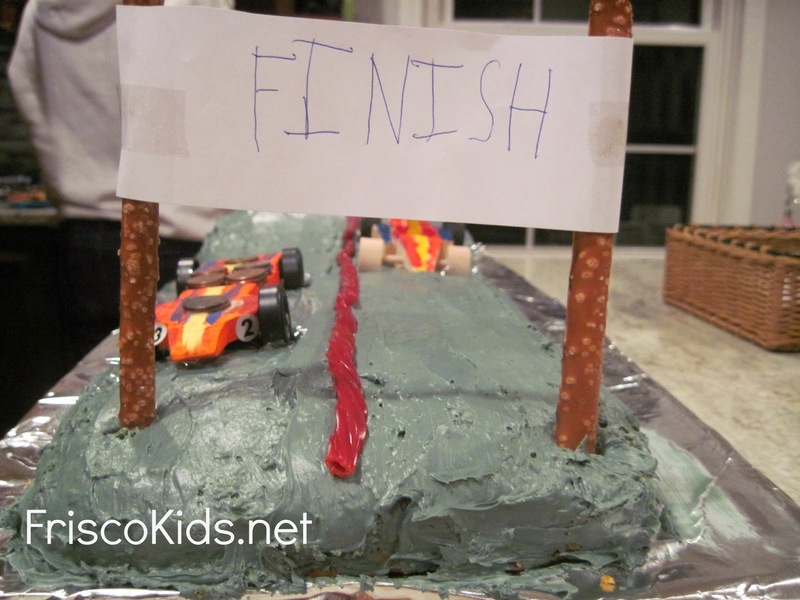 He used pretzel rods for the finish sign, taping the sign around it. He used them for the start sign as well, adding the pack number to it. I have to say we got a lot of "oohs" and "aahhs" walking into the room which was reassuring. More reassuring was that some of the kids actually wanted to eat the crappy looking cake once we served it. 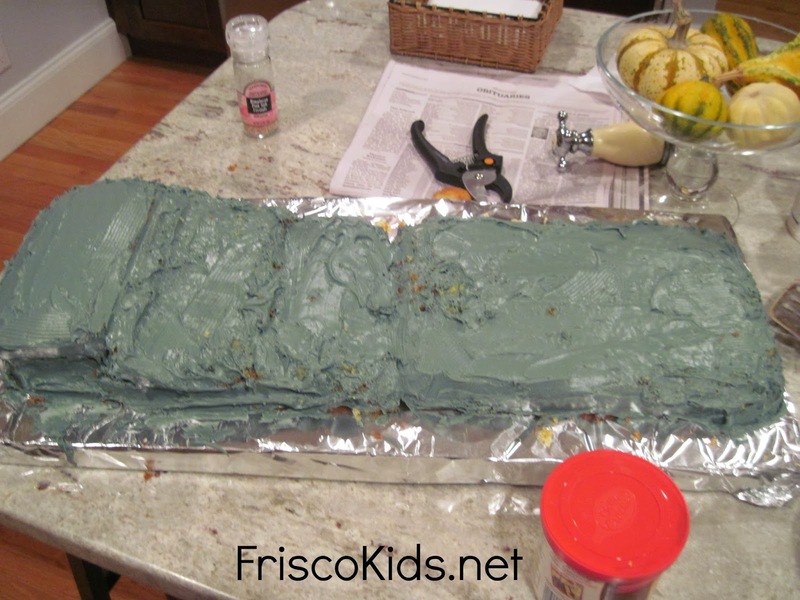 I couldn't figure out why a kid would want a cake with gray frosting, but my son was the first to dig in. And we served at leave seven other kids. It's now sitting in the kitchen, and I think we'll have to dump it soon, because I can't bear to eat it. This was our ocean cake from last year's bake-off. The year before we made an African mask.